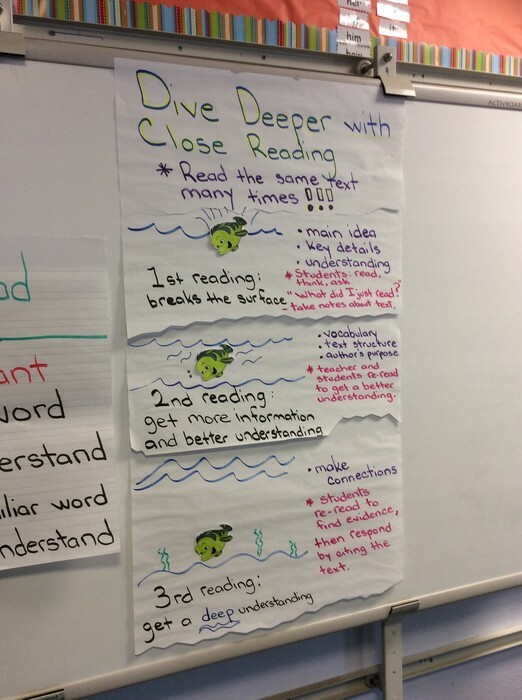 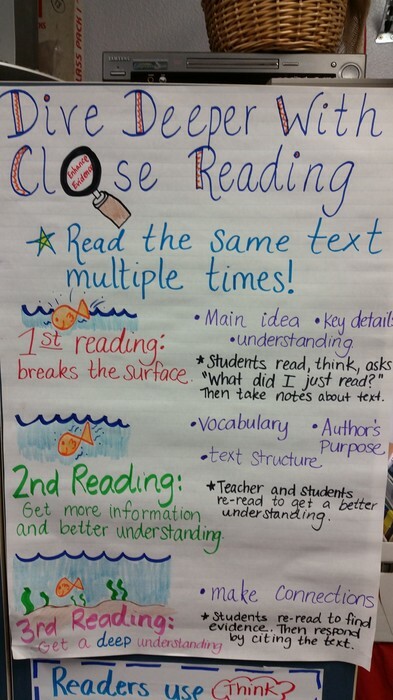 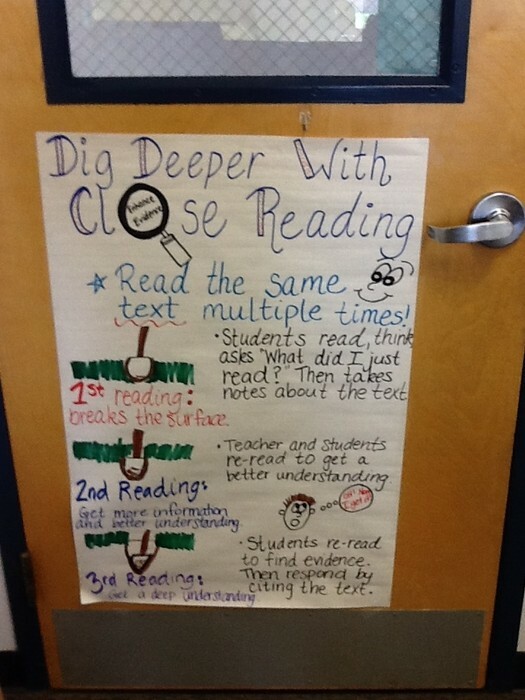 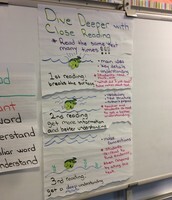 Close Reading is a reading strategy that involves digging deeper into reading in order to gain a richer and more meaningful understanding of the text. 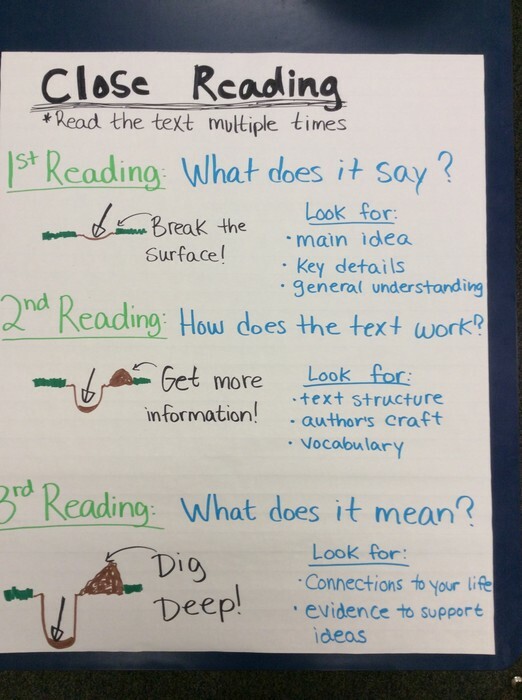 During the process of Close Reading, students acquire new vocabulary, improve comprehension, develop conversational skills, and gain an understanding of concepts such as author's purpose and tone, text structure and style. 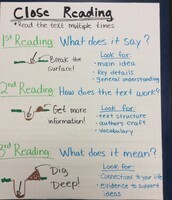 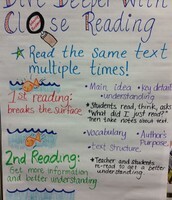 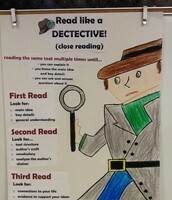 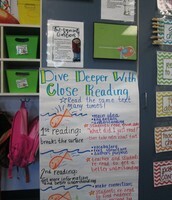 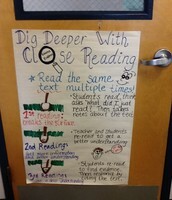 But most importantly, students develop reading strategies that encourage them to approach complex text with confidence. 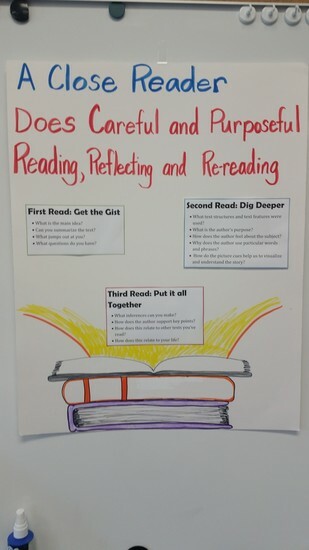 Teachers began our year of Close Reading by reviewing the process with students and creating posters for student reference. 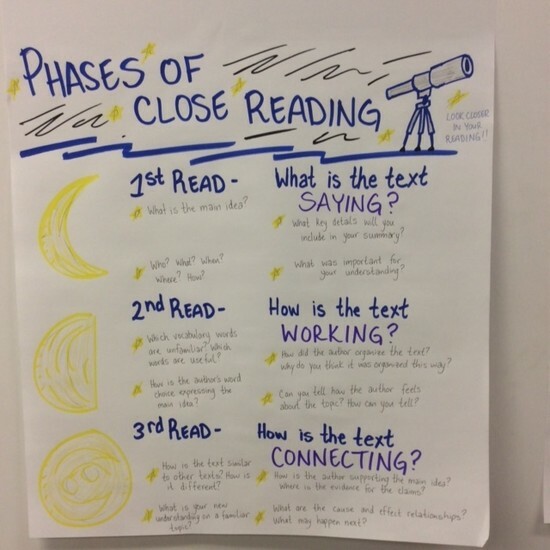 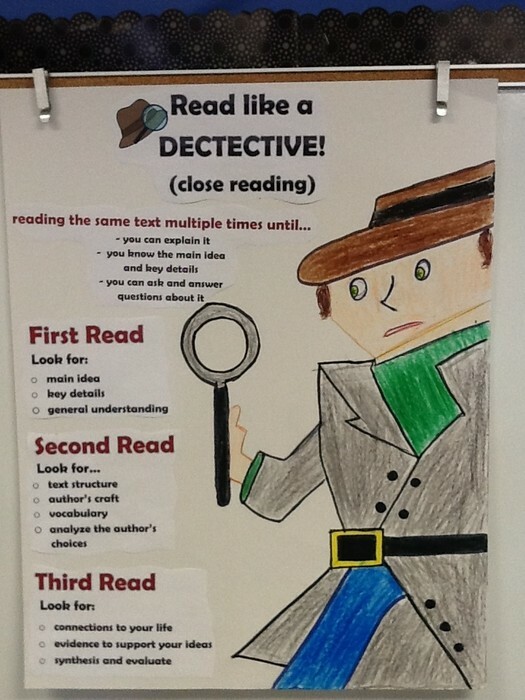 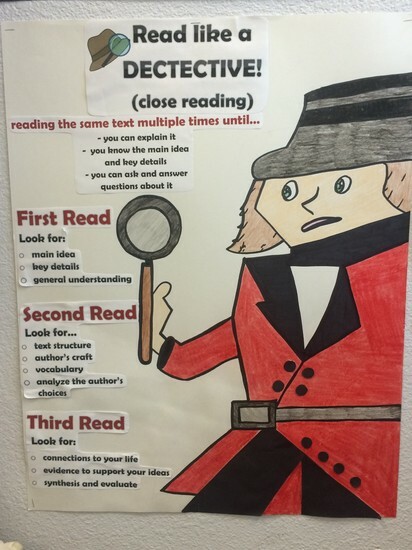 These will serve as reminders of the close read process throughout the year and help keep students and teachers on track during each phase of reading.